Luxury French style home. Open floor plan with wall of atrium windows for lots of sun light. Spacious living room with high ceilings & a fireplace. Private formal dinning. 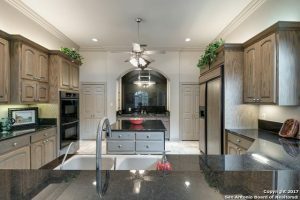 Gourmet Kitchen has breakfast bar, second eating area, built in refrigerator, gas cooking, accent lighting, large island, stunning granite counters & tons of cabinet space. Upstairs bedrooms have sundeck access. Large game room. Pristine architectural details and custom features throughout. Private courtyard to enjoy the summer evenings. 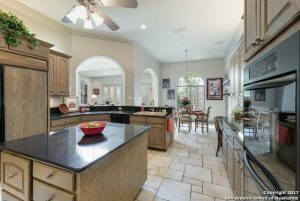 If entertaining is your forte, there is no better place to do this then from the kitchen in this amazing San Antonio home. With stainless steel appliances, a large breakfast bar, and ample counter space you will love cooking here! The vast amount of space and open floor plan makes bringing friends together so easy. 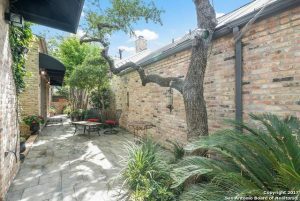 Century Gln, is one of the most desirable areas in the entire San Antonio Texas region. With excellent schools and a close proximity to the city. it’s an oasis just inside of the city. Thank you for reading about 12 Century Gln San Antonio TX 78257.